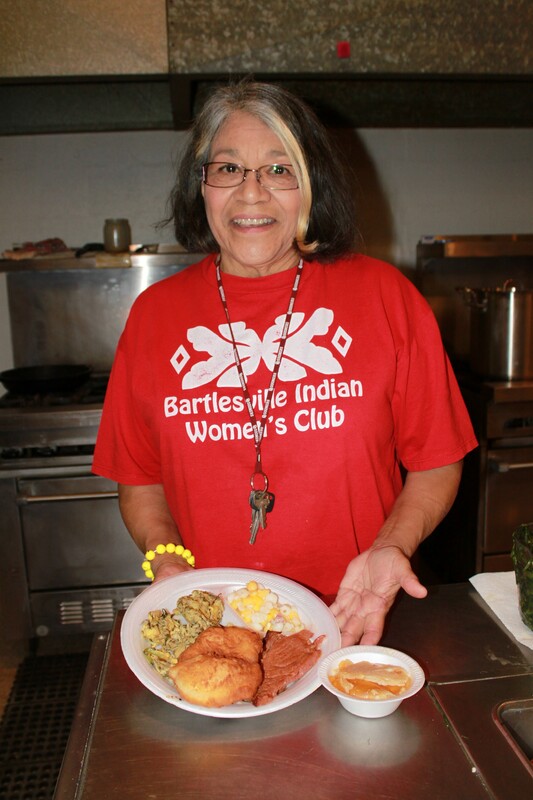 The Bartlesville Indian Women’s Club (BIWC) held its 65th Wild Onion Dinner on Sat., March 11, at the Washington County Fairgrounds in Dewey, Okla. 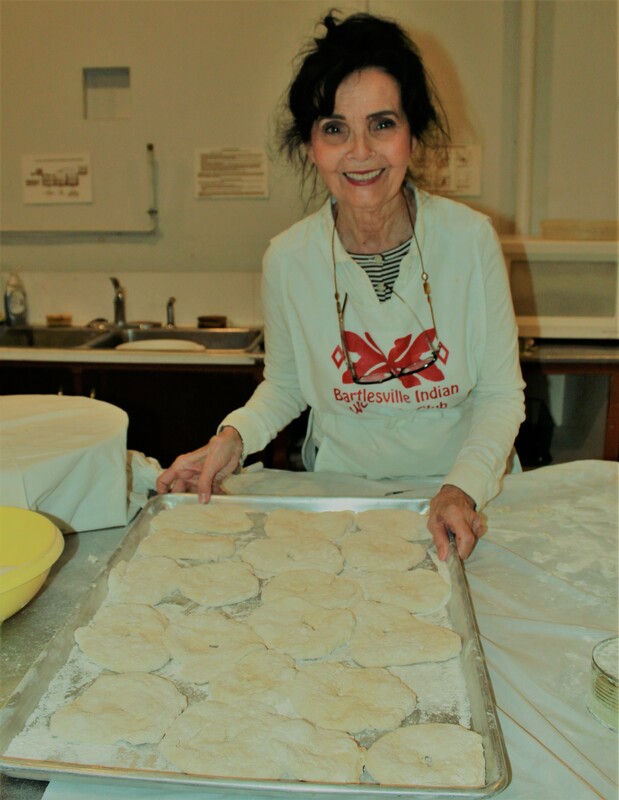 The inter-tribal group of ladies served wild onions and eggs, ham, hominy, beans, fry bread and cobbler for dessert to more than 150 guests. Entertainment was provided by the Bartlesville Education Program’s Dance Outreach, which is a part of Operation Eagle, which seeks to preserve the culture of Native American students. The group of seven students danced at noon accompanied by singers and the traditional drum. Students ranging in age from six to 17 danced. One purpose of the wild onion dinner is to raise funds for scholarships for Native American students. Students wishing to apply for the Roberta Sanders Memorial Scholarships may do so by submitting a letter of application by April 15 to the BIWC Scholarship Committee Chair with two letters of recommendation from teachers, counselors or employers. Those reapplying must submit a form to the scholarship chair before the start of their fall and spring of their academic semesters. A year-end transcript is also required. Call Scholarship Committee Chair, Sharon Armstrong, who is Laguna Pueblo and Cherokee, at 918-335-2460 for the needed forms and mailing address. Another purpose of the dinner is to preserve tribal traditions and continue to bring awareness of Indian heritage, said Club President Sandra Jamison, who is Osage and Seneca-Cayuga. The onions used in the dinner are finer than a scallion and mild in taste. 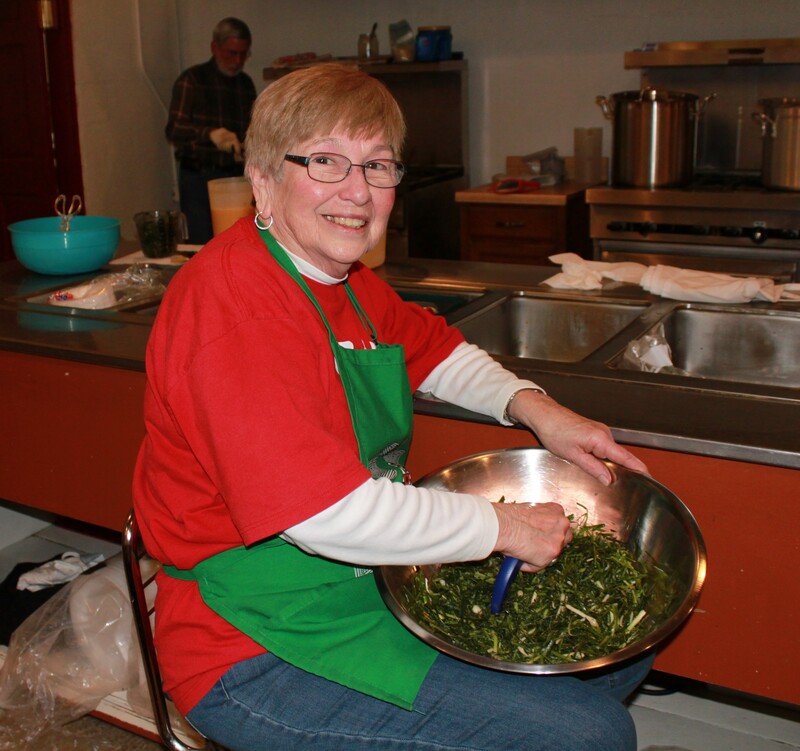 The onions are sourced and purchased from a local woman, who gathers, cleans and cuts them for the club. Another delicious component of the dinner is Indian fry bread. Ketcher and Club Vice President Paula Pechonick, who is Delaware, explained the basics of fry-bread making. “We use self-rising flour, two parts flour and one part water or milk, a little dash of sugar. If the water or milk is warm the bread rises a lot faster,” Pechonick said. Once mixed, the dough is placed in large stainless steel bowls, covered with a dish towel and allowed to rise. After the bread rises, it is very gently rolled out. “You have to get the thickness just right and then we’re cutting them out with a round mold,” Pechonick said. “When you re-roll the dough, it gets tough. You don’t want a tough bread,” Ketcher said. Ladies with CDIB cards or other tribal certification of membership in a federally recognized tribe, are invited to join the Bartlesville Indian Women’s Club by calling 918-336-8053. Leave name and message and you will be contacted. The club meets on the second Thursday of the month, Sept. – May, at 11:30 a.m. at the Women’s Club Building located at 601 S. Shawnee Ave, which intersects with Adams Blvd. in Bartlesville. Drop-ins are welcome! Visit their Facebook page for upcoming events and photos.